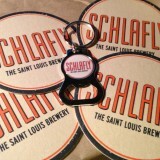 If you could put St. Louis in a box, what would you fill it with? StLouisBox.com answers that exact question. I recently had the chance to check out one of “the original” boxes from St. Louis in a Box. 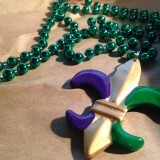 It was sent in just a few days and was filled with goodies straight from the Lou. Before I get to what was exactly in the box I just want to say that this is a fantastic idea. 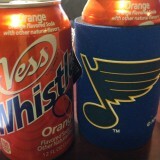 I have many friends who once lived here in St. Louis but have now gone onto new locations. This is the perfect gift to send their way. Or even to friends that have never been here. What better way then to send them a box filled with what they are missing. It doesn’t matter if it’s for Christmas or just to say “hey”, St. Louis in a Box is the perfect way to send a piece of St. Louis to anybody in the world. Better yet, you could even just send one to a friend or family from the area. How cool would this be for a party, wedding, or corporate get together as attendance gifts or prizes? Why get flowers and chocolate for your significant other when you can get this instead!!! Know any Cubs fans? Send them The Stadium box! 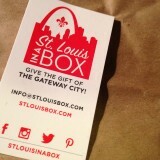 Give The Gift of The Gateway City! The Original, which is what I received, is $25 and can be shipped anywhere in the world. 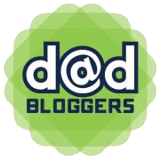 If you are shipping to an APO/FPO military address it’s free! 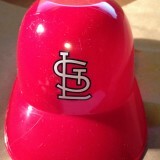 There are two other options for boxes, one is a custom box for $30 where you can pick the items that are added, and the Stadium box which features all St. Louis Cardinals items. So let’s get down to what was in this box. 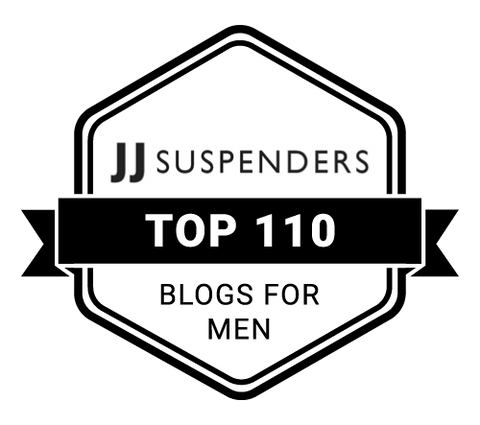 That is quite the list. I will say that the food did not last long. 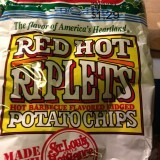 Red Hot Riplets are probably my favorite potato chips. They are hot and they are addictive. 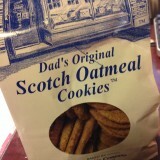 The Dad’s Original Scotch Oatmeal Cookies didn’t last long either. Soooo good. 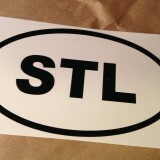 Anyone that receives St. Louis in a Box will not be disappointed. For those that wish to ship some gooey butter cake… Well that is shipped during the cooler months, so be sure to follow St. Louis in a Box on Instagram, Facebook, and Twitter for more info on when that will be happening. The stuff in a box business model is pretty cool. There are a lot of different ones you can get, from pop culture items, to specific brands. I’ve been surprised with some of the options out there. 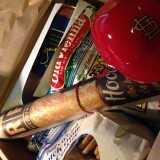 But I gotta say, when I heard of St. Louis in a Box, I thought it was the best of them all. This is a great idea and the perfect way to represent our amazing city. 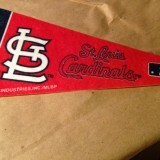 Check out the gallery below to see all of the awesome items from StLouisBox.com! Read the St. Louis in a Box press release below! 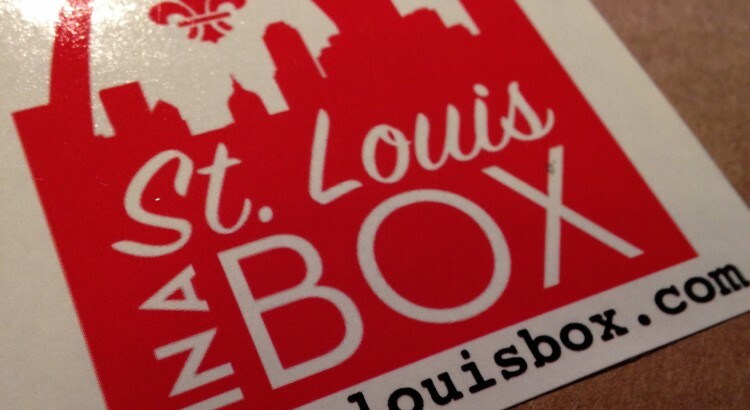 ST. LOUIS, MISSOURI, JUNE 28, 2015 – For homesick natives of St. Louis or those who have fond memories from vacations past, St. Louis in a Box has a solution for those sentimental longings and wistful affections for the Gateway City. Featuring fun and unique items, St. Louis in a Box delivers a box of St. Louis right to customers’ doors. With box choices of “The Original” St. Louis in a Box or “The Stadium” box for Cardinals baseball fans, there’s an assortment of St. Louis nostalgia for everyone. Also offered is the option of creating a custom box, which allows customers to choose from a large selection items of the most iconic institutions in St. Louis. For those who are holding an event for out of town guests, St. Louis in a Box makes a great remembrance gift for the occasion. Pricing ranges from $35 up to $55 for the 10-item choice custom box. 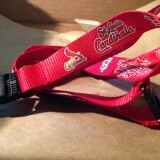 Shipping is $5 to send a St. Louis in a Box anywhere in the U.S.; shipping is free to all military APO/FPO addresses. Orders are shipped within 24-72 hours after the company receives receive them. Inside each St. Louis In A Box is a carefully selected array of items, including Dad’s Scotch Oatmeal Cookies, Old Vienna Red Hot Riplets potato chips, Vess Orange Whistle soda, Sugarfire Smokehouse St. Louie Style BBQ sauce, Switzer’s chewy cherry licorice twists, Syberg’s Famous Wing Sauce, Volpi Genova salami, Zia’s Sweet Italian salad dressing, local brewery swag, G&W Sausage, St. Louis Cardinals gear, “STL” bumper stickers, Riverfront Times, St. Louis Blues gear and more. 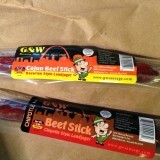 St. Louis in a Box is pleased to offer a St. Louis experience to people no matter where they are in the world. More information can be found at http://www.stlouisbox.com/. 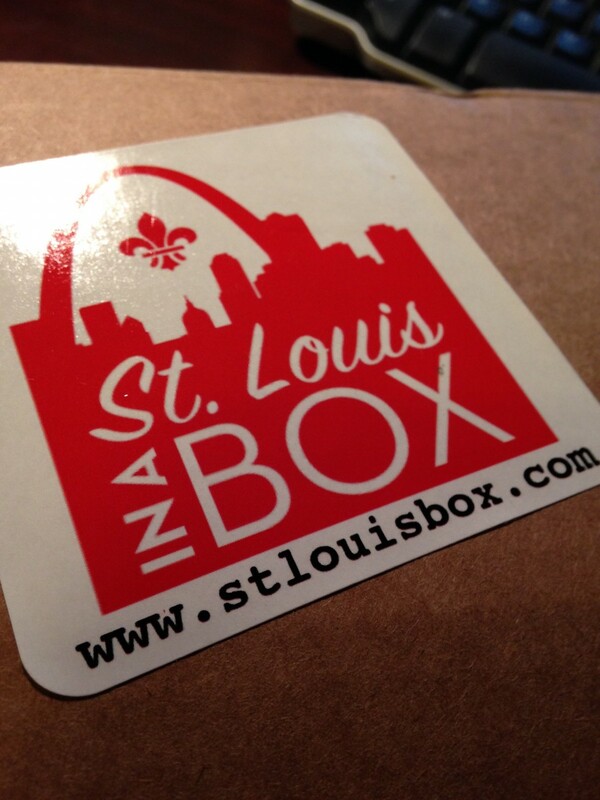 St. Louis in a Box offers themed gift boxes to people everywhere, offering a St. Louis experience to past residents and visitors. 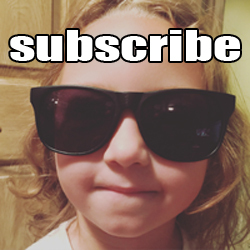 Note: St. Louis Dad was provided a complimentary box in exchange for this honest review. Every now and then you wish you could just get away but you really can’t because you’re broke and “away” is thousands of miles and somewhere tropical… Well, this isn’t exactly that but it’s pretty awesome in it’s own regard. May I present, Fugitive Beach, which is located in Rolla, MO (about a 2 hour drive from St. Louis). My wife, daughter, niece, and myself took a little day trip to Fugitive Beach to see what it all about. It was very cool. When you enter you can immediately see this massive water slide. Then upon further inspection you can see two different platforms where you can jump into the water. There was a bar and grill there if you didn’t bring your own food. You cannot bring your own alcohol which I think is a good idea, but you can buy beer, etc at the bar there. You can also bring a cooler with food, soda, water, etc, but no glass and remember to not be a litter bug and pick up your trash. It cost us $6 per person and we also had to sign a waiver before entering. Makes sense. This is/was a quarry. We setup our beach blanket, some chairs, and a cooler. Leaving all of that behind we took to the water. Everyone but my daughter Abby went down the slide and jumped off the cliffs. I don’t blame her. When I was her age I would only hold onto the ladder whenever I got into the pool. The Joy Is In The Journey Slumber Parties, Interviews, and Dark Blue Pools Date Night? How About Date Day! Do You Wanna Build a Snowflake? 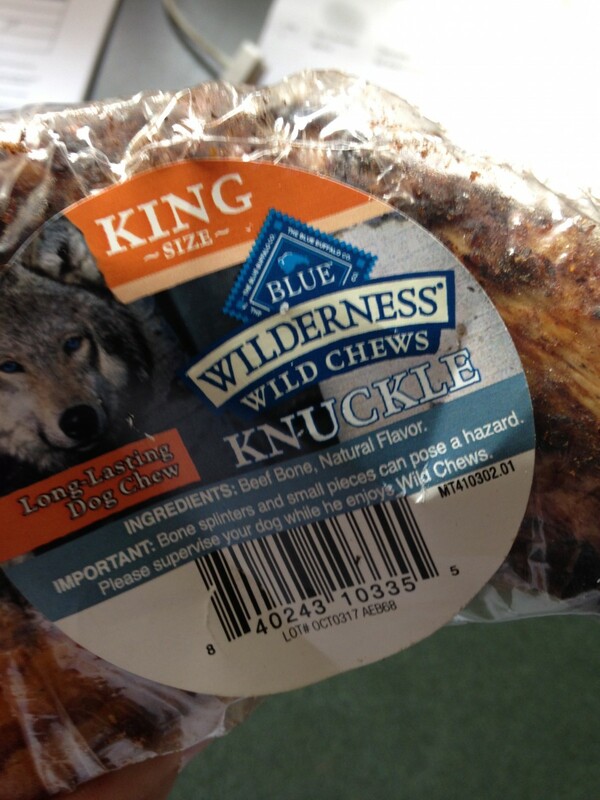 When Chewy.com sent me the King size Blue Buffalo Wilderness Wild Chews Knuckle I was immediately impressed with this thing. It was huge. Larger than my fist. It came at a perfect time too. Clark, my boxer is significantly more active than Miss Lady my terrier mix. In my previous post I mentioned that our air conditioner went out and we had to have some gentlemen over to replace it. Clark loves to bark at strangers. It’s a good thing but can be very annoying when you have people coming in and out of the house. We put Clark in his kennel along with the Knuckle. I did not hear a peep from Clark the entire time he was in there. All you could hear was him going to town on this bone. The Knuckle is highly recommended for keeping your dog busy when you need to get some stuff done. The best part about this product is that it lasted longer than a day. Both dogs enjoyed chewing on the Wilderness Knuckle for about a week. The Knuckle itself is a beef bone with natural flavor. The packaging says Long Lasting Dog Chew and I have to say again that is definitely the case. This will be making the list of items to get for my doggies when it is time to pick up their treats! Watch Clark go to town on his new bone! I would have posted this on Monday but I needed a few days to recover from this past weekend. It was definitely a fun and busy weekend. We had so much to do and so little time to get it all done, but we did and we did it in style! A little backstory. Last week our air conditioner was starting to go out. So we decided to get it replaced. It was time for it to happen anyways. We set up the install for Friday since this summer I have been working enough to be able to have Friday’s off. This worked out because Destiny ended up having to work that day anyways and it was nice to be able to spend the day with the kids. Except it got a little warm inside while the A/C guys were busy installing our new system. But that is okay, we survived and played with toys while we waited for the install to get done. 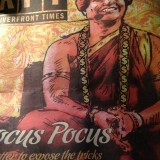 Another important agenda item I had scheduled for Friday was an interview with St. Louis Magazine. 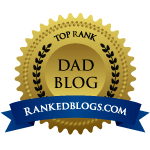 I was contacted early last week and was asked if I would like to be interviewed for an article in their fall family issue. I was really excited and nervous at the same time. I have never had any sort of recognition in this degree before. So as I was getting Alex laid down for his nap it was about 15 minutes from when this interview was suppose to begin. Alex fell asleep pretty quickly and I was thinking this was going to go smoother than I had planned. Fast forward to two minutes before the interview is set to begin and there is a loud noise from the A/C installers, which woke Alex up from his less than 15 minute nap. He was up, like wide awake up, and there was no laying him back down. So on with the interview I went. It actually wasn’t that bad. Alex and Abby were both well behaved while I was on the phone and I only had to pause once to get Alex a drink. So with the interview done and the A/C guys just about finished, it was about time to plan the evening. Abby and Alex’s cousin (2nd cousin to be precise) was in town and it is always a good time when they get together. 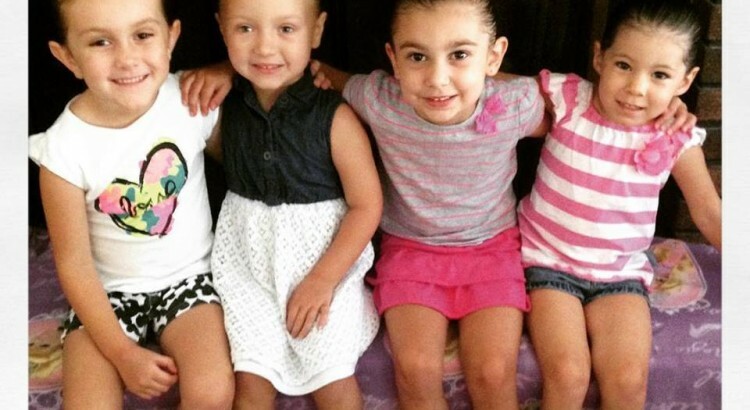 So I sent over a few messages and within a few minutes a slumber party was set with four little girls and the Alex monster. 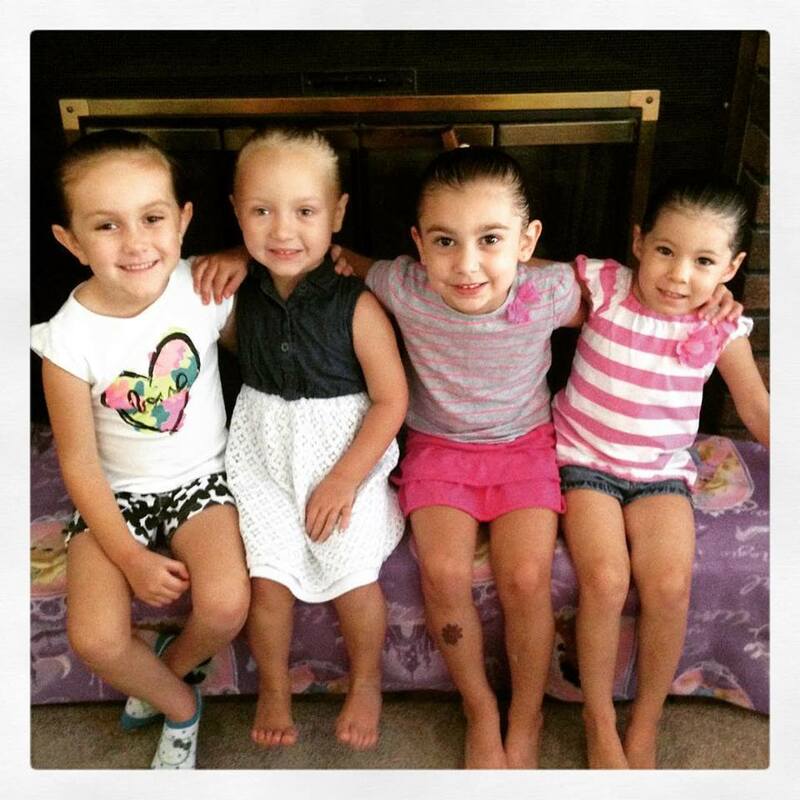 Abby and her cousins, Madi, Riley, and Remmi all had a blast hanging out together. They played house, barbies, play-doh, and even got a chance to do some DJing on my Hercules console. It was a little exhausting watching and listening to them all having so much fun. The next morning I made some Olaf waffles and some crispy bacon. The girls ate it up and then continued their playtime. 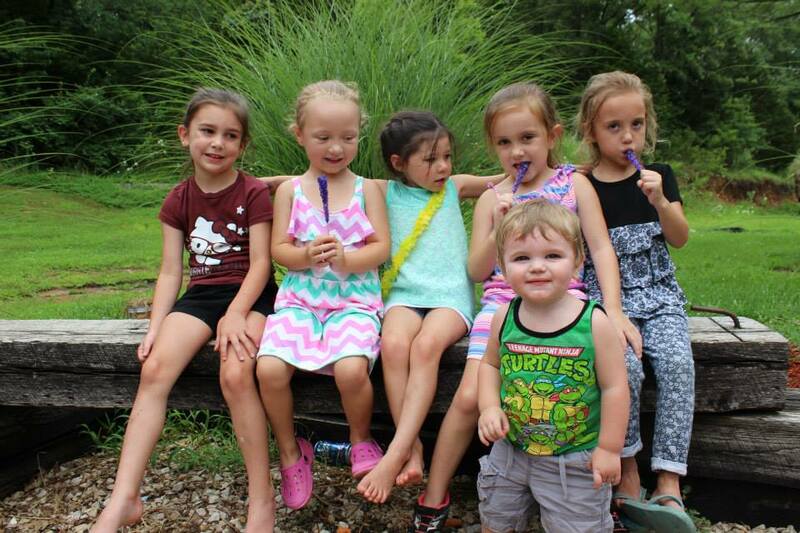 Their parents would arrive before lunch and after that our house was relatively quiet again. 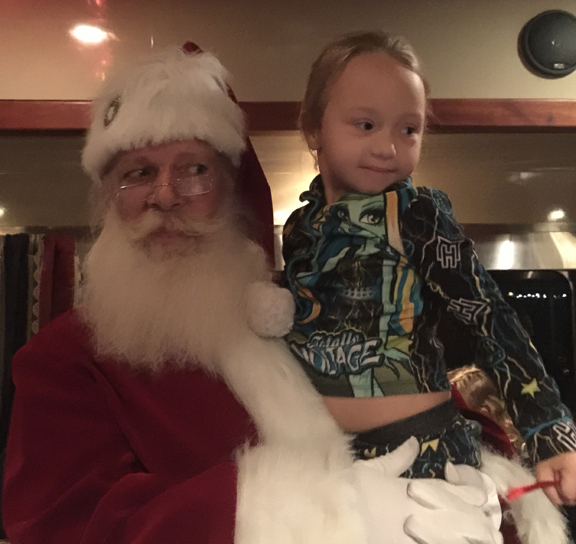 It was a lot of fun having all of the kids over. Hopefully these kids are making memories like us adults and they will keep with them for a long time. Sunday we had Remmi’s 3rd birthday party to attend. The morning was kind of rainy so we weren’t exactly sure how well swimming and the bounce house would hold up. We brought our swim wear anyway and it cleared up enough for the ground to dry so things were back in motion. 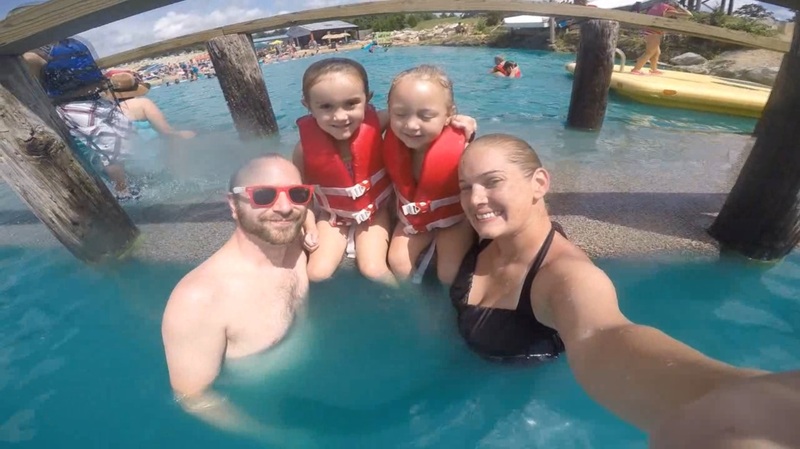 The pool was dyed a dark blue to help bring warmth to the water. I’m not saying it didn’t work, I’m just saying the pool was a little cooler, but then again it was raining most of the morning. The dark dye was cool and eerie at the same time. You could see just a few inches below the water line and your feet were gone into the abyss. I did not get a good picture of this pool, but believe me it was kind of freaky. How was your weekend? Tell me about it in the comments! 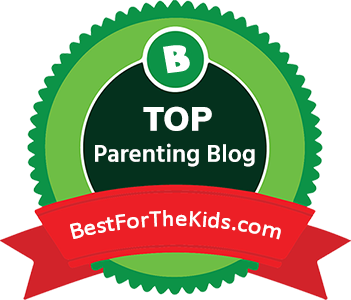 Our Escape to Fugitive Beach Five Home Improvements for a Better Family Life How To Keep Your Kids Entertained While Doing A Million Other Things At Once When Does Competition Stop Being Healthy?